This loop is about 23 miles, a couple of hours at a 12 mile per hour pace, a little more at a more leisurely speed. Pictures are numbered on the route map. 1. 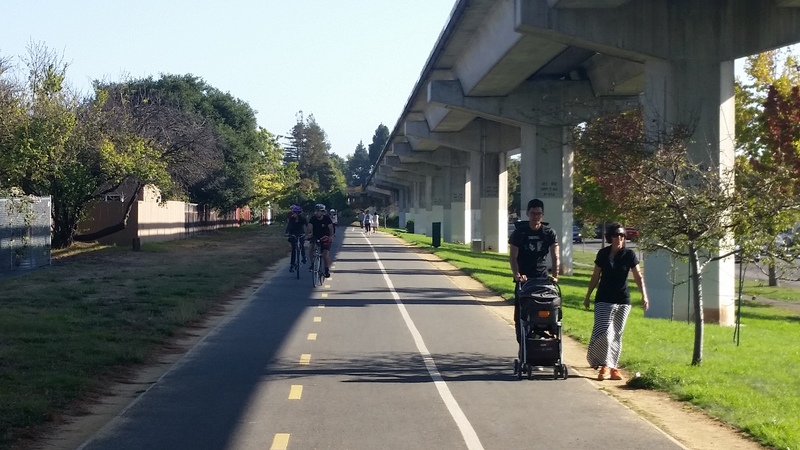 The Ohlone Greenway is named for the Ohlone Indians who once lived in the area, this trail doubles as a commuting corridor and a recreation destination for the cities of Berkeley, Albany and El Cerrito. 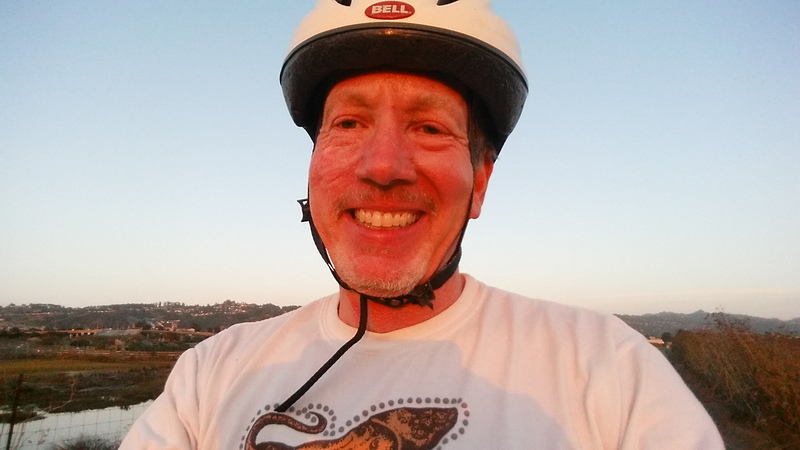 While the Ohlone Greenway is certainly an urban trail, it weaves together a number of parks and green spaces, community gardens and interpretive kiosks to create a pleasurable and informative trail experience. The greenway’s smooth asphalt surface makes it suitable for a variety of users. 2. The City of Berkeley Eastshore Pedestrian Overcrossing was made to allow bicycles, pedestrians, and wheelchair users access to the Berkeley Marina, Eastshore State Park, and the city. Opened in 2002, the bridge was built at a cost of $6.4 million. 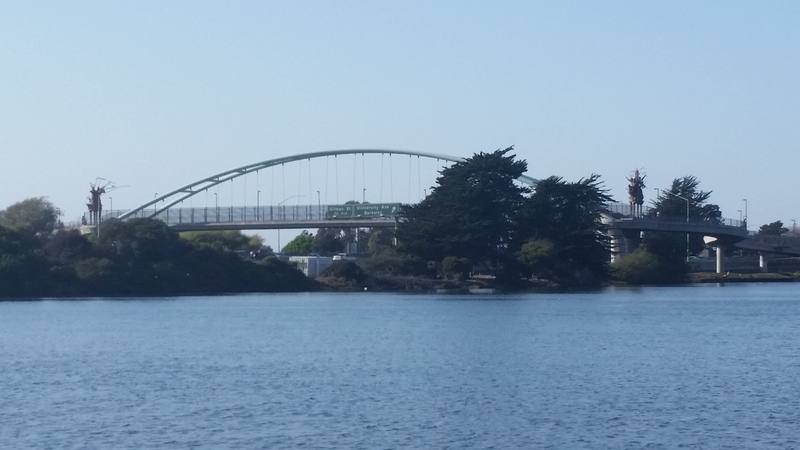 The bridge created an ADA -compliant route between Berkeley and its Marina/waterfront park region. Prior to its construction, the only wheelchair accessible route was via an undercrossing 1 mile to the north. Bicycles and pedestrians could use a dark, hidden, and seldom-used path and stairwell that ran under and along the University Avenue freeway overpass. The two 30-ft. tall sculptures were installed in October/November 2008, the work of Emeryville artist Scott Donahue, who won a national competition for the commission. Called “Berkeley’s Big People,” the fiberglass sculpture depicts, among other things, the university town’s proud culture of civil demonstrations. 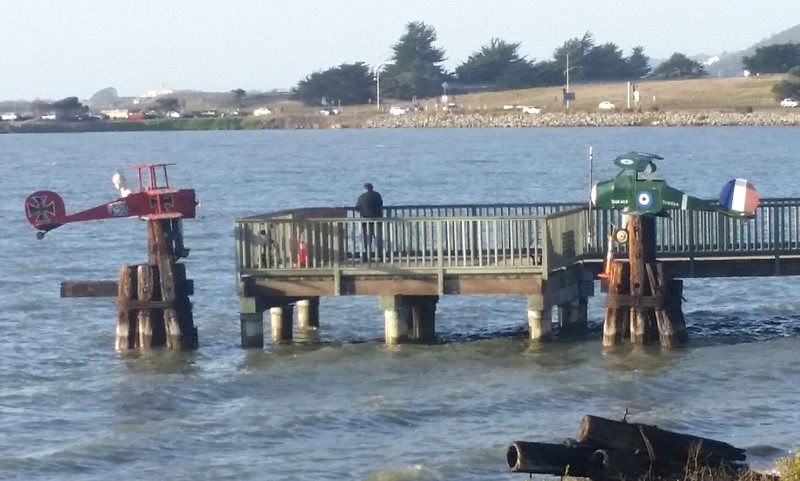 The other, on the west side of bridge closest to the marina, depicts East Bay leisure life: a bird watcher peering through binoculars, a jogger, a kite flier, and a boater. And there’s a disc-catching dog in mid-leap. 3. A long, narrow 9 holes out and 9 in. Water hazards (lake, ponds, streams) make it a ‘Pebble Beach’ course. 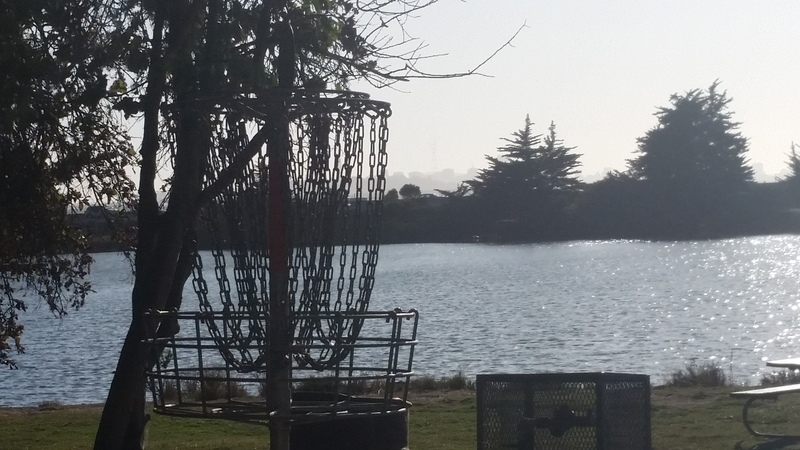 Multiple tees and a practice basket. 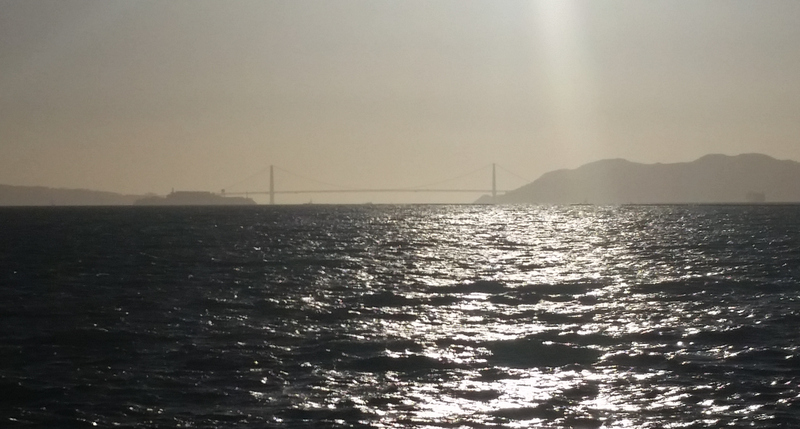 Great views of SF. Winds off bay can be treacherous. 5. All the houses you can see in this picture are new since the 1991 fire. 7. Berkeley artist Tyler Hoare first put up wooden replicas of the famous Peanuts characters in their airplanes, battling World War One flying aces, back in 1975. Hoare said he first got the idea when he himself was stuck in traffic on I-80, gazing out at the Bay. For nearly four decades, Tyler Hoare has been adding a bit of whimsy to the East Bay waterfront with his salvaged wood creations: some 30 large sculptures including airplanes inspired in part by Snoopy comics; a submarine, a pirate ship, a viking ship, and a ‘King Tut ship’ with a gold-painted Egyptian-style figurehead; and, before most of the wood pilings in the water rotted away, spindly, rustic, 6-foot-tall sculptures Hoare calls his “post people”. 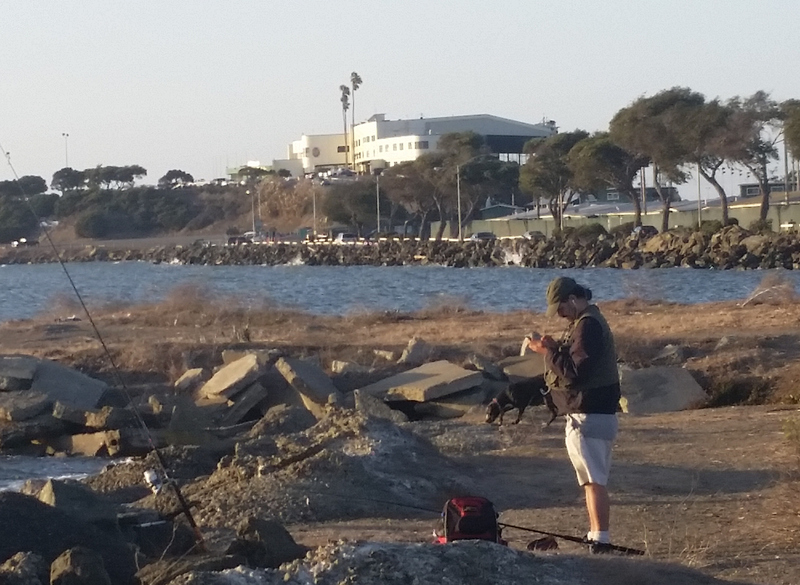 Those sculptures are all gone now because the marsh is now part of McLaughlin Eastshore State Park. 9. 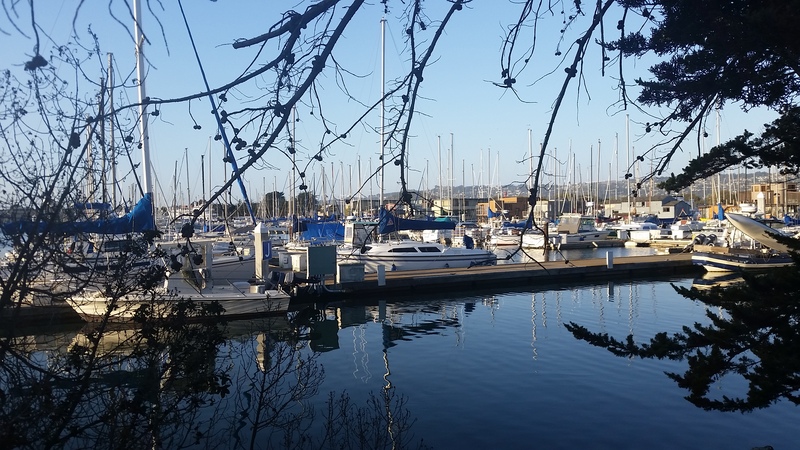 The Berkeley Marina’s 52 acres of water and 1100 berths can accommodate vessels 16 feet to 110 feet in length. Surge and rough water are eliminated by an entrance breakwater. See the house boats in the background? 10. Golden Gate Fields was built just before World War II. The inaugural meet was on February 1, 1941. In the period just before the war, the track was used as the scene of the crime central to the plot of the movie Shadow of the Thin Man. With the onset of World War II, the United States Navy took over the property as the “Albany Naval Landing Force Equipment Depot” for storing hundreds of landing craft destined for use in the Pacific theater. After the war, Golden Gate Fields resumed horse racing. Attendance at horse racing tracks has dwindled in recent years, especially with the growth of off-track betting. Golden Gate Fields is now the only horse racing track in the Bay Area and has races Thursday thru Sunday, except a couple summer months. In 2012, Golden Gate Fields bid for the new Lawrence Berkeley Lab Campus, but lost out to the Richmond Field Station. 11. Albany Beach is part of Albany Waterfront Park. 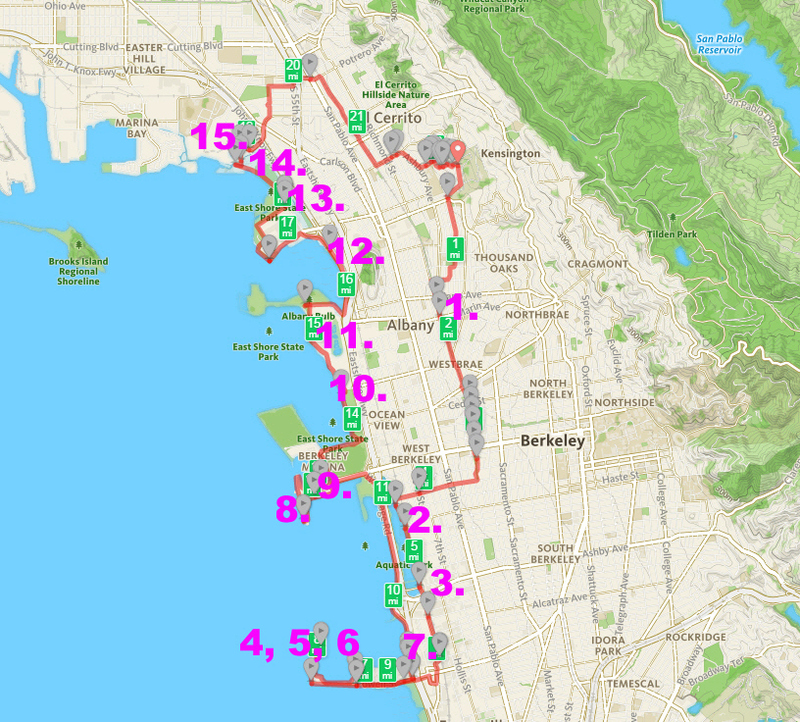 It is located across from the Albany Bulb and Golden Gate Fields racetrack. The nearby Albany Bulb is transitioning from the City of Albany to the McLaughlin Eastshore State Park. 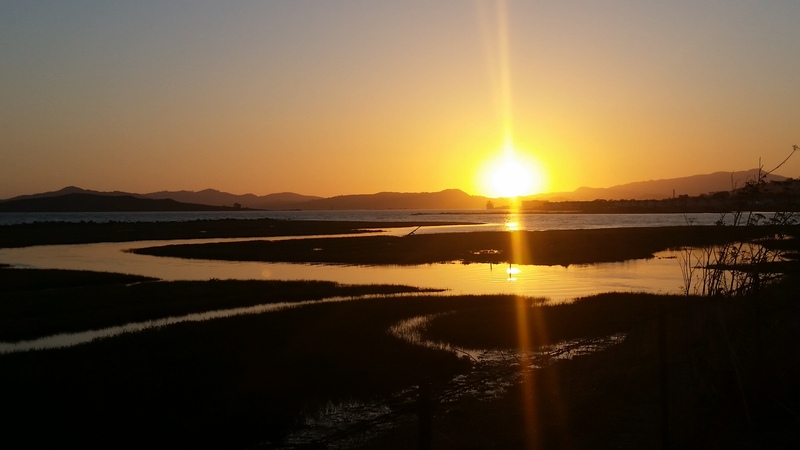 In April 2014, more than two dozen homeless residents of the Albany Bulb received $3,000 from the city for agreeing to leave the site and remove all of their personal property. These are the key terms of a settlement agreement between the City of Albany and a group of housing advocates representing the Bulb’s homeless resident, effectively marking the end of the high-profile eviction battle. 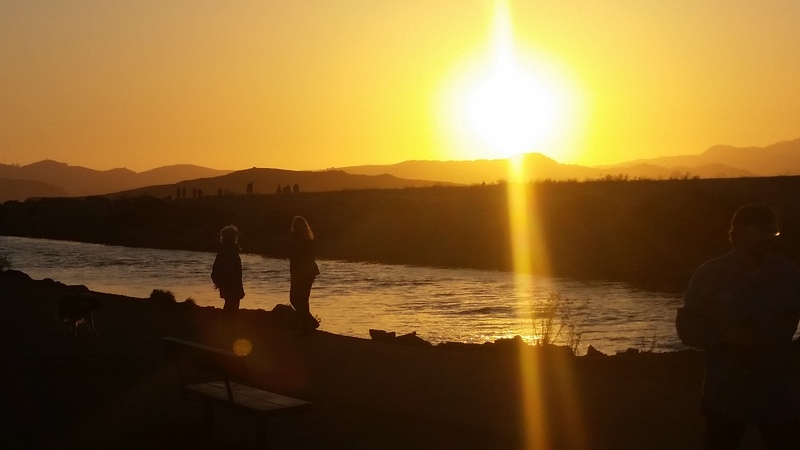 Construction begins June 8, 2015 on a major rehabilitation project at the Albany shoreline. Portions of the park will be closed to the public until construction ends in November. 2015. 12. Cerrito Creek is one of the principal watercourses running out of the Berkeley Hills into San Francisco Bay in northern California. It is significant for its use as a boundary demarcation historically, as well as presently. In the early 19th century, it separated the vast Rancho San Antonio to the south from the Castro family’s Rancho San Pablo to the north. Today, it marks part of the boundary between Alameda County and Contra Costa County. The main stem, running through a surprisingly deep canyon that separates Berkeley from Kensington, is joined below San Pablo Avenue by a fan of tributaries, their lower reaches mostly in storm-drain pipes. The largest of these is Middle or Blackberry Creek, a southern branch. 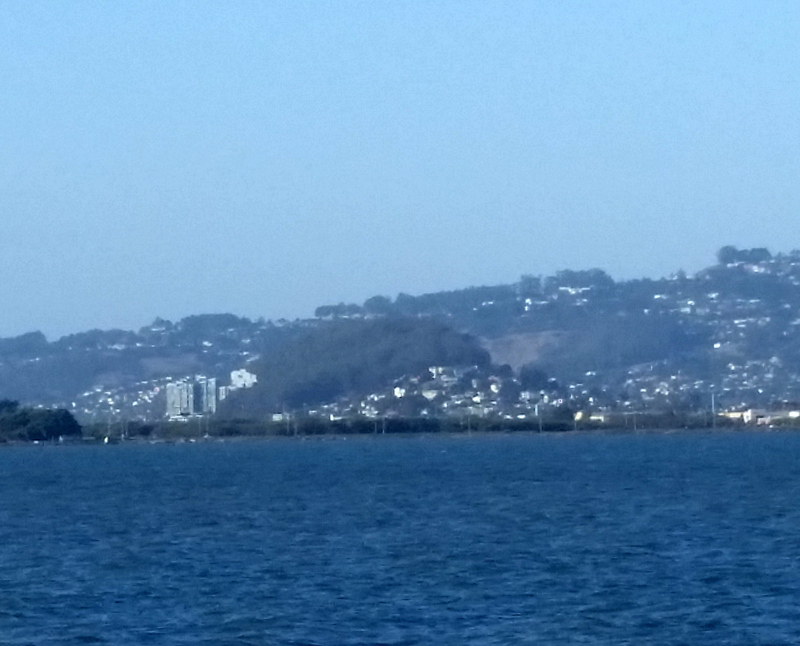 The creek is named for Albany Hill, formerly called Cerrito de San Antonio, a prominent isolated hill on the shoreline of San Francisco Bay in Albany. Cerrito Creek, joined by a fan of other small creeks, formerly meandered to the Bay through a large marsh just north of the hill. With Alameda County settled more densely in the early 20th Century boom that followed the San Francisco Earthquake, the area just north of the county line at the creek became the home of jazz joints, gambling, and other pursuits requiring a light hand from the law. This lasted until a post-World-War-II reform movement in the City of El Cerrito. Friends of Five Creeks established some natives and placed a litter can at the short reach exposed at the Ohlone Greenway, but these plantings have repeatedly been devastated by maintenance workers. Between Talbot and Kains, adjacent to the El Cerrito Plaza shopping center, a state grant to the City of El Cerrito led to the channelized creek being re-contoured in 2003, giving it a more natural flow pattern, native vegetation, and a creekside trail. 13. 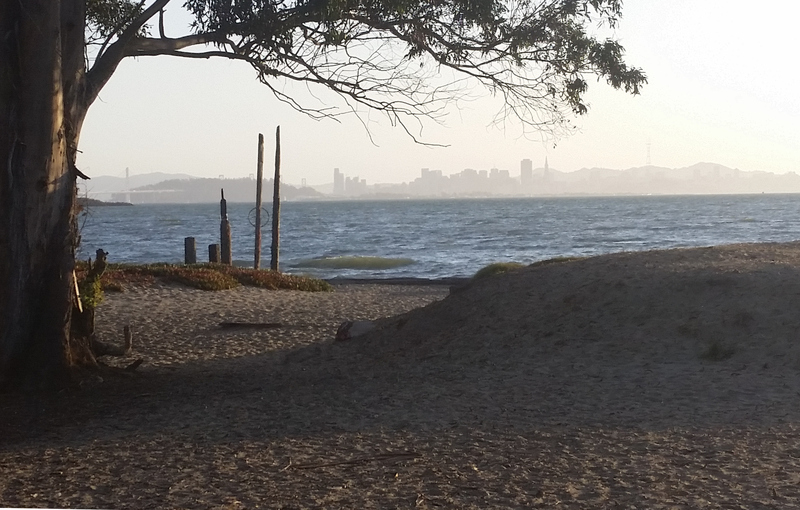 I haven’t visited every dog park in the world, but in my experience Point Isabel is the best. There are beautiful views of the Golden Gate and Marin County from this landscaped 23-acre park at the west end of Central Avenue in Richmond. This is one of the largest public off-leash dog parks in the nation with over 500,000 dog visits per year. 14. Baxter Creek, previously known as Stege Creek or Bishop Creek), is a three-branch creek in Richmond and El Cerrito,forming the Baxter Creek watershed. 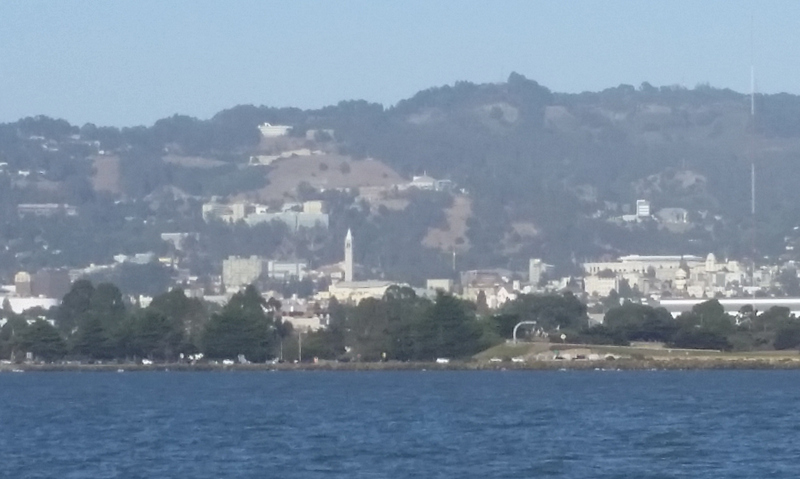 The creek has three sources and flows from the Berkeley Hills to Stege Marsh and the San Francisco Bay. The creek has been largely culverted over the years since the Rancho San Pablo and the subdivided Bishop Ranch, then known as Bishop Creek, were urbanized. Residents missed the creek when it disappeared under the asphalt and formed Friends of Baxter Creek. This group has aided in the restoration of several portions of the creek. Baxter Creek Park, Poinsett Park, and Booker T. Anderson Park are now in a more natural riparian condition. This segment of creek at Gateway Park in El Cerrito was restored in 2005 after citizens formed a group-Friends of Baxter Creek-to advocate for the purchase of the land from the Santa Fe Railroad, and its restoration. Baxter Creek Maintenance and Management Guide Green Team volunteer clean ups take place the first Saturday of every month from 10:00 – 12:30. 15. 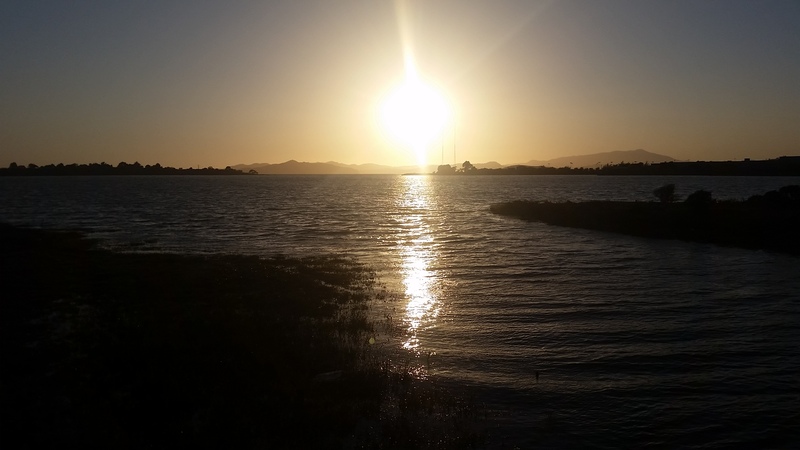 Stege Marsh, also known as the South Richmond marshes, is next to UC Berkeley’s Richmond field station. 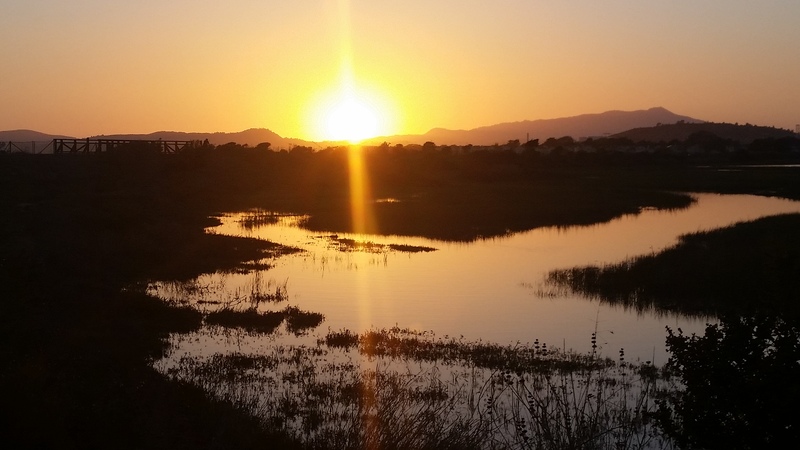 The marsh is the delta at the mouth of Baxter Creek which drains from a watershed extending into the Berkeley Hills in El Cerrito. The marsh is opposite Meeker Slough from where Meeker Slough Creek drains into Campus Bay, which is a part of the Richmond Inner Harbor of the San Francisco Bay.